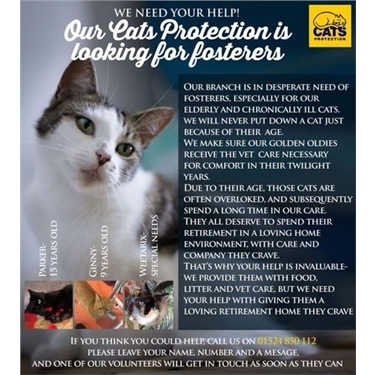 We are urgently looking for new fosterers for our cats, including our older foster cats that are in our care longer than kittens and younger cats. This will allow us to take in more cats that need our help. If you think you could do this, please contact us on 01524 850112.